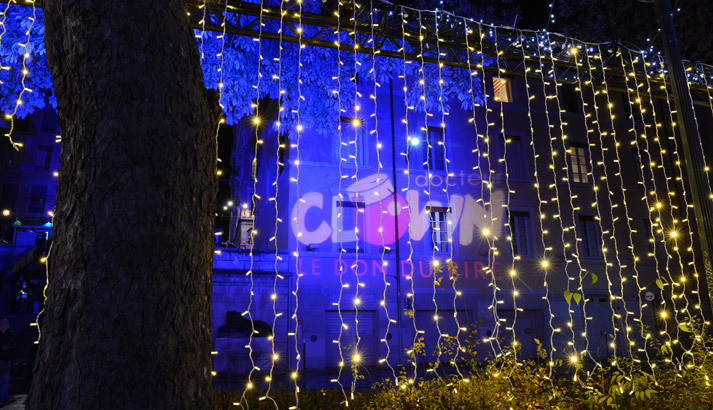 The Lumignons du Cœur are taking over Place Sathonay this year, transforming it into a monumental light show. 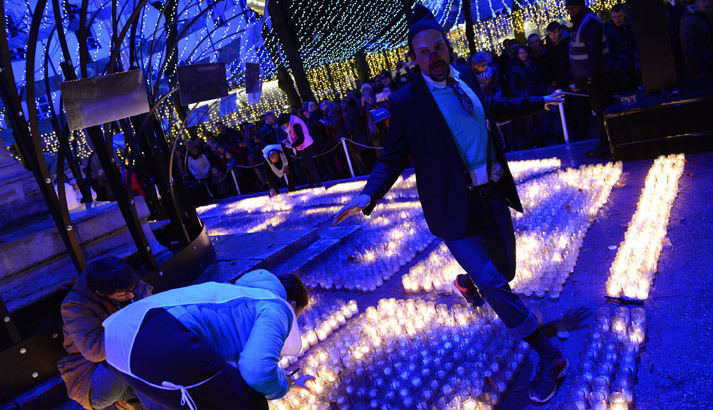 The installation is like an enormous glowing box that draws the public irresistibly towards it. It covers and fringes the small square with a thick mesh of LED fairy lights. 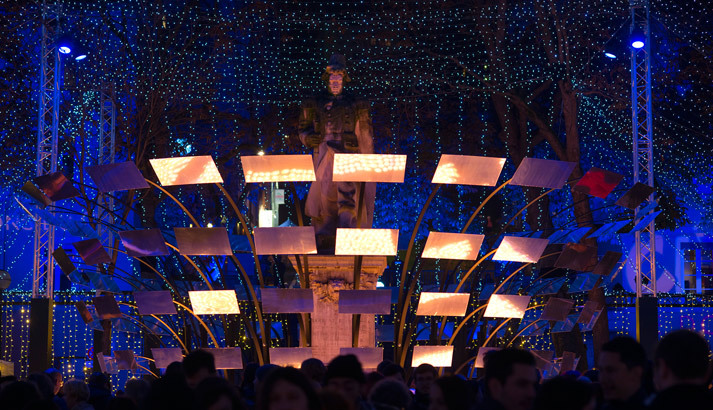 Twenty thousand tealights – or lumignons – light up every evening around the statue of Hippolyte Blandan, while the reflections from a sparkling bouquet of 150 mirrors arranged around the famous soldier illuminate the surroundings. 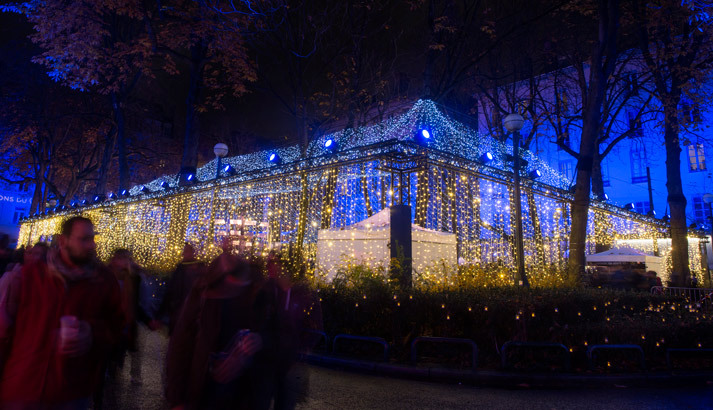 Five thousand electric lights shimmer in the clusters of trees and, as the facades of the buildings light up in blue, the square is blanketed in an intimate, soothing atmosphere. 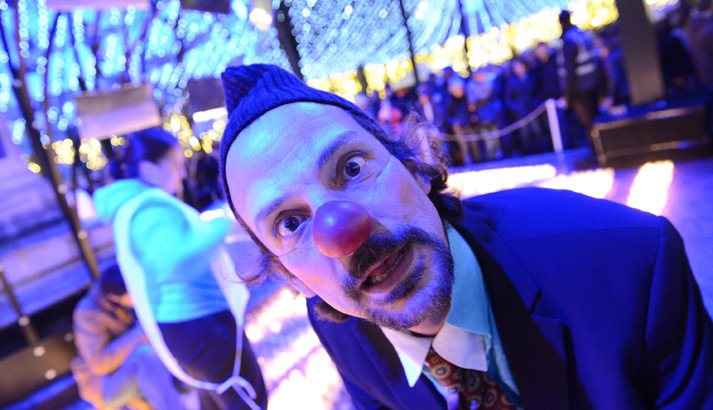 All this and a special itinerary, too, illuminated with bright stars over four evenings to showcase the charity supported by Lumignons du Cœur this year: Docteur Clown.